Enrique Iglesias, Alexis Ohanian, John Stamos and Matthew Morrison are among the celebs who will be celebrating Father's Day for the first time. 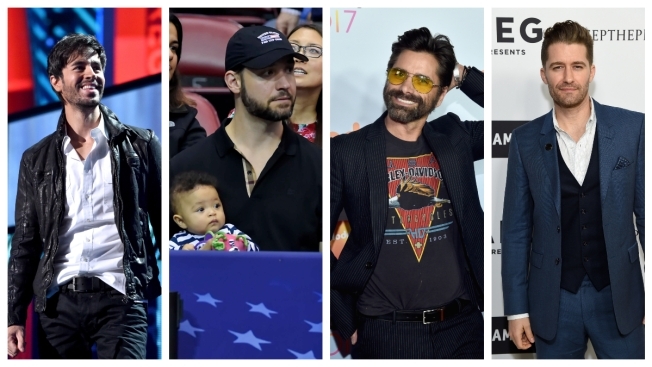 Celebrities like John Stamos, Enrique Iglesias, Aaron Paul and more are enjoying their first Father's Day on Sunday as an official dad. Several have taken to social media to show off the newest additions to their families. Here's to all the newbie fathers out there. Original Post: Happy Father's Day to Hollywood's First Time Dads Including, John Stamos, Jordan Peele, Aaron Paul and More!